Please note that we have a strict no refund policy for this course due to its simplicity and power. Please read our non-refund policy below before purchasing this course. Coach's Corner member may obtain a copy at a discount. Please order here. NO REFUNDS! 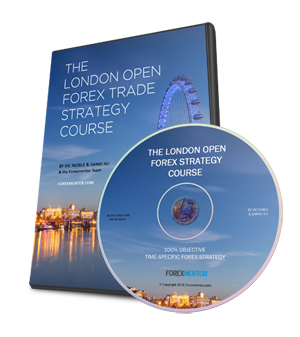 We do not offer cancellation or refunds on the London Open Forex Trade Strategy course due to scammers, tricksters and pirating concerns. This powerful strategy works very well both in back-testing results and more importantly in our live experience. Thanks for your understanding and please email us if you have any questions or concerns.